Ribbon: Red with white edges (Knight Grand Cross) or white with 4 red stripes (all other grades). 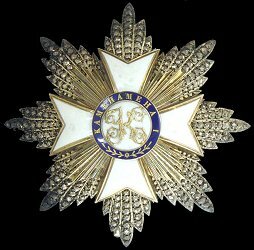 Instituted: 11 April 1865 by King Kamehameha V.
Awarded: For outstanding services to Hawaii or to the Royal House. 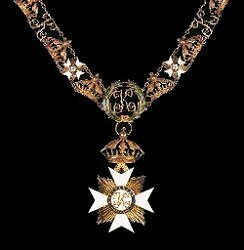 Grades: 4 (Collar, Knight Grand Cross, Knight Commander and Companion). 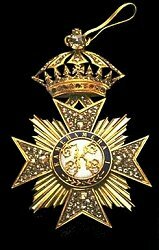 Post-nominal letters: Knight Grand Cross (KGCK), Knight Commander (KCK) and Companion (CK).